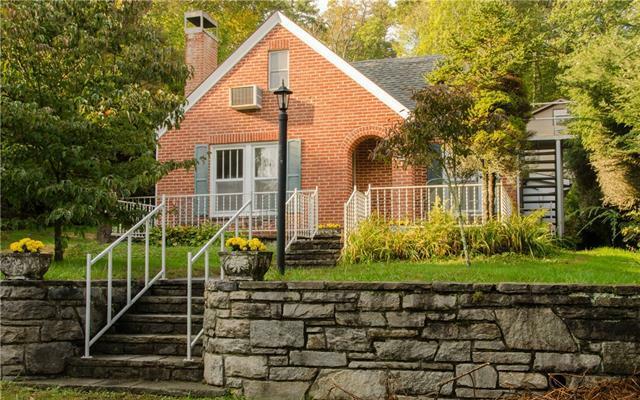 Charming brick cottage just one block from Main Street. The main house includes three bedrooms, two baths, dining area, sitting room and kitchen. The upper level apartment has a private outside entrance and is not included in heated sq ft due to ceiling height is under 7 ft. The wide front porch is perfect for relaxing after a day of shopping, hiking, fishing, skiing, or one of many other activities available in beautiful Blowing Rock! Restaurants, shops, and the park are just minutes from your front door. Parking is available in the detached garage or in front of the house.